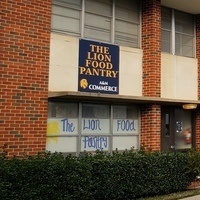 The Lion Food Pantry will be open on Wednesday, February 13 from 11 a.m. to 4 p.m. All students who are currently enrolled are welcome! Please bring your CWID. If you have an emergency need for food outside of scheduled openings, please email nikki.barnett@tamuc.edu. For more information about volunteer opportunities, or if you would like to make a donation, please email lionpantry@tamuc.edu.